Janet, a Broadway and television actress, founded THE ADDERLEY SCHOOL in 1993. A Yale University graduate, she made her Broadway debut in the hit Andrew Lloyd Webber musical STARLIGHT EXPRESS and appeared in several television series. Ms. Adderley has worked extensively coaching young actors for television and film including Modern Family actress, Sarah Hyland, Dear Evan Hansen star, Ben Platt, Alicia Morton in the lead role of ANNIE for Disney and the Cheetah Girls for their film debut on the Disney channel. She currently coaches young actors on set for Disney and Netflix. She is a resident of Austin, TX and the proud mother of two amazingly gifted daughters. Having been raised by a community of performing artists, Alana’s undeniable love of music, theatre, and dance were developed by age five. 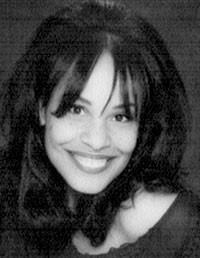 She began her journey in musical theatre at age eight, having performed in countless musicals – her favorites including CATS (Grizabella), RUTHLESS (Judy Denmark / Ginger DelMarco), INTO THE WOODS (The Witch), PIRATES OF PENZANCE (Mabel), WEST SIDE STORY (Consuelo), CHICAGO (Velma Kelly), and FOSSE A TRIBUTE (Sally Bowles). She has worked as a back-up dancer for Gwen Stefani and a featured dancer in LOVESTRUCK: THE MUSICAL (ABC Family) and ANNIE (the 1999 Disney remake). As a musician, she has performed with several incredibly inspiring artists her most memorable including David Foster, Katy Perry, Josh Groban, and Luther Vandross, and worked as a writer with the publishing department at Universal Music. Although she still performs every now and then, Alana’s true passion lies in the artistic and emotional education of children. Their continued growth and the unbridled joy are what make her heart soar! Akina Adderley is a vocalist, singer, songwriter, bandleader, and educator based out of Austin, Texas, and she is thrilled to join ADDERLEY each year for their spring production. Akina has assembled and conducted the pit orchestra as well as led SBYET and ARTE Austin's dazzlingly talented young performers in several shows, including HOW TO SUCCEED IN BUSINESS WITHOUT REALLY TRYING, WEST SIDE STORY, OLIVER, GYPSY, HAIRSPRAY and LES MISERABLES. Akina has been teaching music, drama, choir, voice and piano lessons, and directing children in plays and musicals for over a decade, including two years and several summers at THE ADDERLEY SCHOOL. Her training in the ADDERLEY method combined with her background in choral conducting and band-leading make her especially well-suited to lead the music in SBYET & ADDERLEY’s impressive productions. Born and raised in Houston, TX, Emma Center has been following her passion for musical theatre since preschool when her grandmother would play a Sound of Music cassette tape on the drive home from school everyday. Emma began her performing arts training at The Houston Academy of dance at the age of five, and went on to receive her BFA in Acting from The University of Texas at Austin in May of 2018. She performed in many main stage productions while at UT, and assisted in the choreography for shows at UT and middle and high schools in Austin. Emma is now a resident of Los Angeles, pursuing a career as an actress while being a part of the ADDERLEY family. She has been teaching and working with children in many ways for the past seven years, including teaching children’s dance classes, choreographing for middle and high school productions, and directing musical theatre camps for student with special needs. Her passion for performing is only matched by her love for sharing that passion with courageous, compassionate, young performers, who inspire her everyday to be a better and braver version of herself. Emma believes that above all else, the theatre is a space to build empathy and an understanding of the people and world around us, and to teach children the art of musical theatre is to encourage a future full of thoughtful, caring, intelligent, and charismatic people. Brooke Mountain is a fusion of dance and business as shown with her two degrees from Chapman University, a BA in Dance Performance and a BS in Business Administration. She was born and raised in Austin, Texas and returned post college to Austin to invest in her community. Professionally trained in a variety of style including: jazz, hip hop, contemporary, hip hop, modern, ballet, tap and cecchetti she brings a lot to the table. Brooke dances to express herself and more deeply make sense of the world around her. Continually trying to push her sunny demeanor Brooke worked as a Tormentor dancer for House of Torment. She uses dance to feel encouraged and be a part of a creative highly athletic community. She was asked to join and train with Renegades Dance Crew commuting every weekend to rehearse from Austin to Dallas as the youngest member shows Brooke’s dedication to her passion. Her crew were able to win 3rd place in the adult division of World of Dance Dallas. During college she single-handily managed Shieldwall Dance Company while in college. Brooke fundraiser 40 percent of company's revenue for this grass roots company in a single evening of performances and booked them at a multitude of well-known venues including Bootleg Theater and Highways in Los Angeles. Choreography is a huge passion for Brooke and she was able to choreograph three consecutive collegiate years. Also during her time at Chapman she performed on stage, her largest role being the leading lady as Mama in the piece Milene, Mama, and Me. Her goals is to work alongside dance businesses that are revolutionizing the dance industry. Mountain is thrilled to fulfill this goal and honored to be a part of the Adderley Family. Clayton rejoins THE ADDERLEY SCHOOL after completing his Bachelor’s of Fine Arts in Acting from Carnegie Mellon University, the oldest conservatory training, and the first degree-granting drama institution, in the U.S.
Born in Santa Monica, he grew up in Santa Barbara, where he first met (at twelve years old!) and began working with Janet, Alana, and the Adderley family… In the intervening years, Clayton has studied and performed internationally–notably at the Moscow Art Theatre, in both France and England, and in Kotor, Montenegro, and was awarded a Shakespeare Certificate from the London Academy of Music and Dramatic Art. Clayton is eager to bring classical East Coast conservatory methods home to the West Coast. Aside from his formal training in Pennsylvania, he was both a billed cast member and Fight Captain of the Williamstown Theatre Festival’s Free Theatre in Massachusetts, and was admitted to two master strains of the National Puppetry Conference at The Eugene O’Neill Theater Center in Waterford, Connecticut. Working as an actor, coach, and instructor of speech, voice and movement techniques, Clayton has happily put down roots in Los Angeles, pacifically at home once again in California.